Welcome to the 800Bear.com Sweet Tooth Factory! Here you will find a fun assortment of delicious treats to include with our favorite plush animal. Select a yummy bags of Gummy Bears. 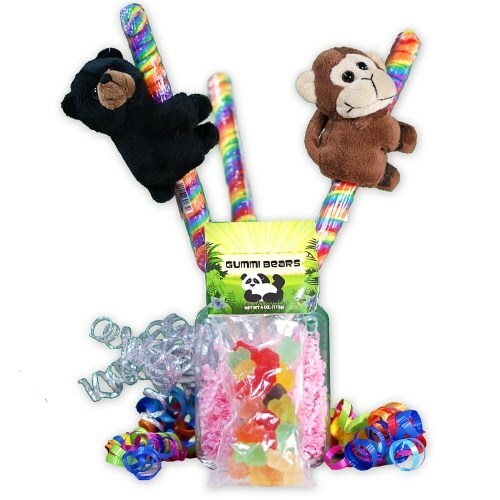 Our collection of yummy goodness also includes our fun twister pops with an adorable bear or monkey attached to them. Consider adding these as a finishing touch to your new plush animal gift idea! These little bears & candy will make wonderful party favors. Would definitely order again. They loved receiving this candy along with it. Additional Details Our special candy assortment makes the best additions to your Personalized Plush Animals. Shop 800Bear.com for all of your special gift ideas.